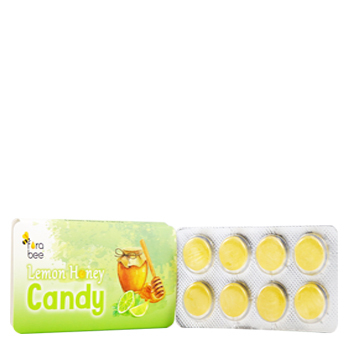 Bee Plus Honey Lemon Candy are made with all natural ingredients. It delivers the sweet and exotic flavor of pure honey from longan flowers with a snap of sour taste from lemon juice. Sooths your throat and taste great. Individually packed, this makes the candy easy to eat while travelling or at home. Take one candy for temporary relief symptom of cough and sore throat or can be taken for freshness as often as needed.